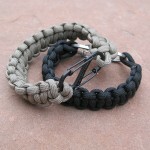 I’m sure you’re thinking “Seriously, another person making paracord bracelets?”. Yes, it’s true. Since working on a few paracord projects lately and finding ways to include it on the bike, the next step was to offer some sort of paracord product. But I didn’t want to be just another paracord bracelet person so the bracelet needed to be different in several ways. Use a Nite Ize S-Biner for the closure mechanism. The standard buckles found on most paracord bracelets work fine for the bracelet, but they don’t serve any purpose once you undo the cord. By using the S-Biner, you have another usable item in the bracelet. The S-Biner can also be removed from the bracelet without untying the cord. 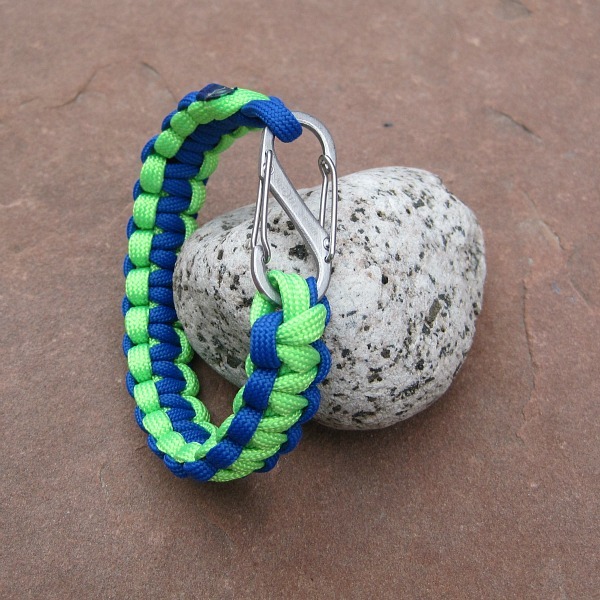 Make the bracelets with a quick release Chain Sinnet knot instead of the standard Cobra knot. The knots look almost the same, but the chain sinnet bracelet can be undone in a matter of seconds by just pulling on both ends of the paracord instead of undoing each knot of a Cobra bracelet. This allows you to have access to your cord much faster in case of emergency. Thanks to ItsTactical.com for the idea on this type of knot. Instead of selling products just to make a little money, another goal of mine and a goal I’d like to incorporate into Pale Spruce is giving back and helping others in some way. 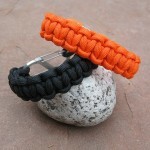 So, 50% of all paracord sales will be donated to the NUMB Ride for Hunger. This is a great ride that I have done the last 3 years, but will be unable to attend this year. The ride is 5 days in Nebraska and yes, it is possible to have fun in Nebraska in July. The people, ride support, and host towns make it a great event and the goal is to raise money for local and worldwide hunger projects. Bracelets are available in the store with the quick release knot and Nite Ize S-Biners, but you can also choose from the traditional Cobra knot, a plastic buckle, or even a lobster claw clasp. The choice is yours. There are currently 6 colors to choose from, but let me know if you would like a different color. Personally, the Nite Ize S-Biner with the quick release knot are my favorites because I like the practical parts, but you’re free to pick your own options. 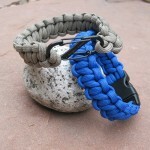 If you want a true survival bracelet, you should look at the BSB (Best Survival Bracelet) from paracordist.com. 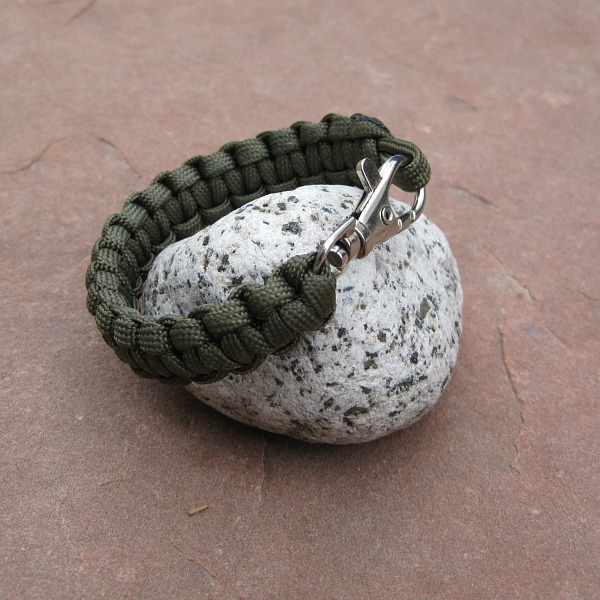 A a firestarter and jute string are built into the bracelet. 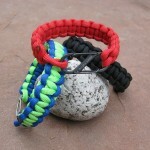 Strormdrane’s blog is a great resource for learning how to tie your own paracord bracelets and other items. 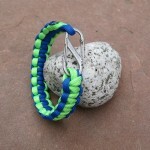 I am looking for paracord projects for our summer campers to get crafty with. Would you happen to have directions for different weaves and/or projects? I want to find stuff for all ages (3rd-12th grade) and genders. Saw your post on the NUMB Facebook page, love that you are still donating eventhough you can’t join the ride. Derek, there are lots of resources for paracord projects. Take a look at this other parcord post. It links to several sites that help me get started with paracord. For younger kids, the lanyards/keychain type projects are easy to start. The paracord cross is a good project too, but probably for the older kids. 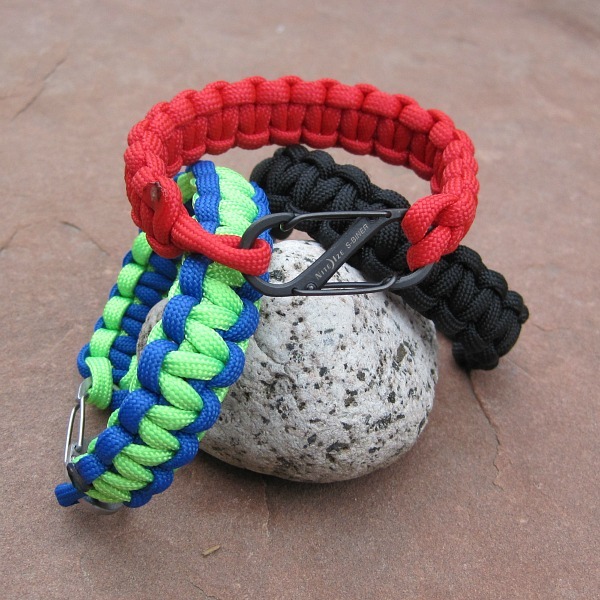 Finally, the paracord bracelets could be fun for everyone and the cobra knot is easy to learn. Hope that helps. Let me know if you have other questions. I really like the closure you use on your bracelets. I have not come across ones like that before. That would definitely be useful in a survival situations. Great post, and great idea! Jaci, thanks for stopping by and glad you like the idea. The S-Biner closures are a bit unusual but they would be very helpful in a survival situation or even if you have some gear problems during a trip. You can actually take off the S-Biner without undoing the paracord.